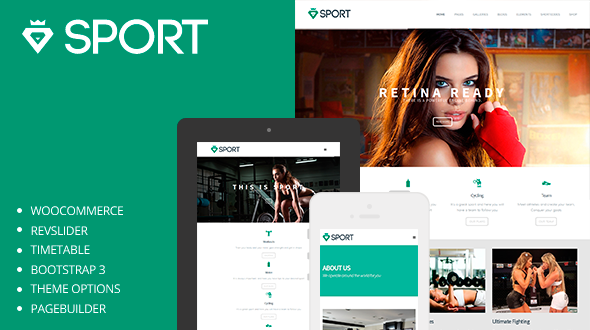 We’re very excited about this Featured Item – it’s the Sport WordPress Theme. Sport is a beautifully crafted and exciting theme. It’s unlike anything you’ve seen before and you can do almost anything you want with it. Sport can be a powerful tool to help your brand grow even more. It’s ultra-responsive so it looks great on any device and it’s built using the sleek and intuitive Bootstrap Framework. Sport is also easy to customize with unique styling, 600+ Google Fonts with preview, pre-built pages and social icons. Not to mention many other features to make this theme your own. Check out the Sport WordPress Theme demo. The creator of the Sport WordPress Theme is one of our long time sellers, 8Grids. Since joining MOJO in 2012, 8Grids has contributed 6 great looking WordPress themes to the marketplace and kept up the MOJO standard of providing excellent support. Keep ‘em comin’ 8Grids!